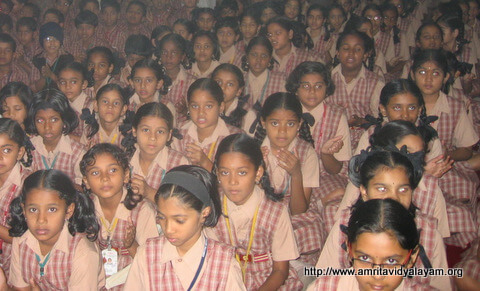 Amrita Vidyalayam, Durgapur, a CBSE senior secondary school run by Mata Amritanandamayi Math, is located 6 km from Durgapur Railway Station, behind Mission Hospital, and is known as Amma School in the locality. The campus is situated on a large plot of land about 9.5 acres, and the building is spacious with 40000 sq ft of built up area over 4 floors. Another building of the same size is under construction.